New this year, UR made the “Most Innovative Schools” list and ranked #28 among national liberal arts colleges. This category highlights colleges that are making the most innovative improvements in terms of curriculum, faculty, students, campus life, technology, or facilities. The ranking is the result of a peer assessment survey completed by college presidents, provosts, and admissions deans. UR ranked #87 as a “Best Business Program” for its undergraduate business program. 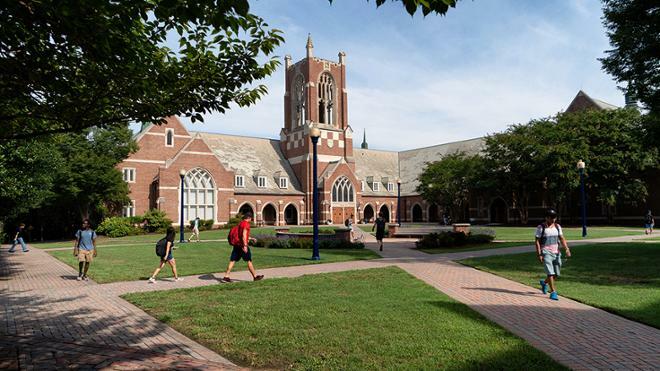 The University of Richmond consistently is ranked as a top-tier liberal arts university and a “best value” by Kiplinger’s Personal Finance, Smart Money magazine, Forbes.com and other leading college guides. Additional information can be found at usnews.com/best-colleges.